Rejecting a magistrate’s recommendation, the EU’s highest court ruled Tuesday that animals that are not stunned prior to slaughter cannot be marketed with an “organic farming” label. Though EU law calls for slaughterhouses to take necessary measures to avoid pain and minimize the distress and suffering of animals during the killing process, the European Council also allows exemptions for religious slaughter practices. The France-based animal-rights group OABA, short for Oeuvre d’Assistance aux Betes d’Abattoirs, has been at the forefront of this campaign. The Luxembourg-based court said in a judgement on Tuesday that the practice does not follow the highest animal welfare standards. Meat from animals slaughtered without prior stunning, must not be eligble for the EU-Bio-label. The aim of the labelling is to maintain the confidence of consumers in ecological and organic products: implying that you should be certain that the meat has been produced with the highest animal welfare standards, stated the judges in Luxembourg. Their ruling was that the ritual method of slaughter does not meet these standards of Animal welfare. However, the practice is allowed in the EU, under freedom of religion. In 2012, a French association to protect slaughterhouse animals applied for a ban on granting the “organic farming” label to halal minced beef patties. The request was rejected, leading to a series of appeals. After France’s certification body Ecocert dismissed the challenge by OABA, the Administrative Court of Appeal in Versailles asked the European Court of Justice to shed light on EU rules for labeling organic products. 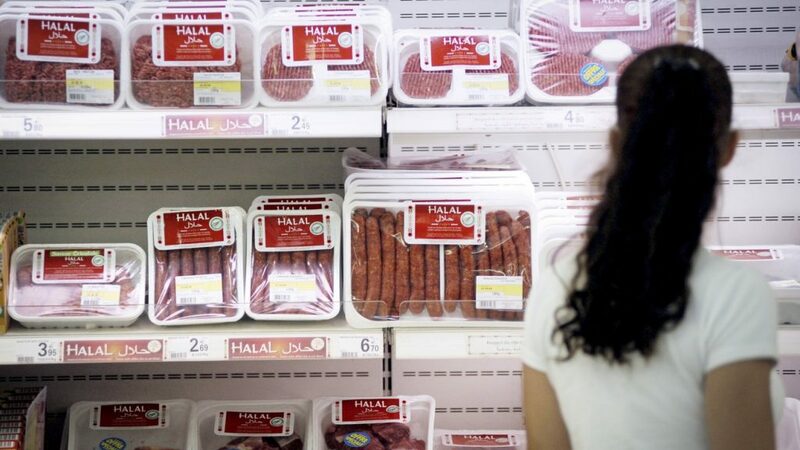 In France, someone sued an animal protection organization, claiming that halal-labelled halal steaks advertised that they may come from “certified organic agriculture”. The French administrative court had referred the case to the ECJ in Luxembourg requesting advice on the interpretation of EU law. The Luxembourg judges found that in the relevant EU regulations it is noted several times that in the case of organic Meat, the animal plays a central role. Scientific studies have shown that anesthesia was the preferred technique as it affected animal welfare at the time of slaughter, at the least. It leads the animal to lose consciousness and insensibility, to reduce the pain, stress or suffering greatly. The religious rites prescribed method of slaughter without stunning does not meet this criteria. “Contrary to what is claimed by both the French government and the defendants in the main proceedings … the particular methods of slaughter prescribed by religious rites that are carried out without pre-stunning and that are permitted by Article 4(4) of Regulation No 1099/2009 are not tantamount, in terms of ensuring a high level of animal welfare at the time of killing, to slaughter with pre-stunning which is, in principle, required by Article 4(1) of that regulation,” the ruling states. The halal requirement that the animals must not be stunned is not universally applied. There is also some disagreement over which form of slaughter causes the animal more pain, with some arguing that a stun gun can be more painful than an expertly applied cut to the animal’s neck. Several European countries, including Belgium, Iceland, Sweden, Switzerland and Denmark have banned non-stun slaughter. The Quran specifies that animals must be treated gently, the German Animal Welfare Federation noted ahead of Tuesday’s ruling.